As I mentioned in my slice from yesterday, our class is reading Number the Stars as our read aloud. 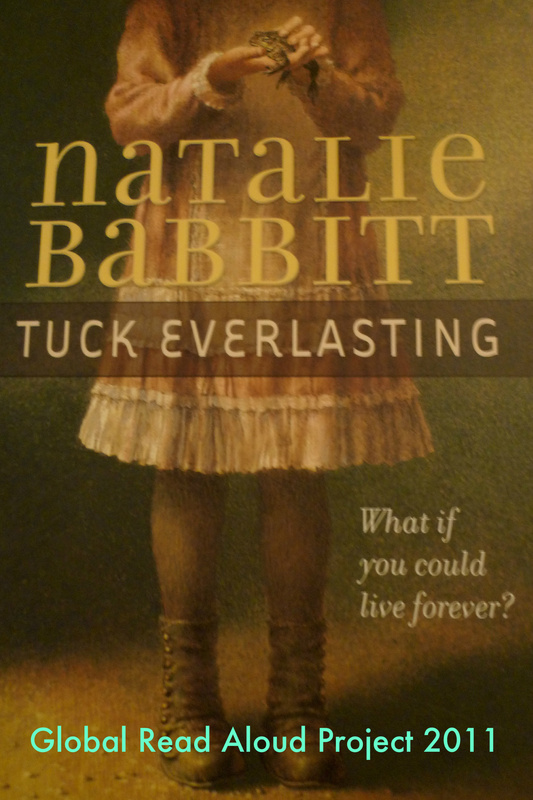 We are in deep in a historical fiction unit right now. 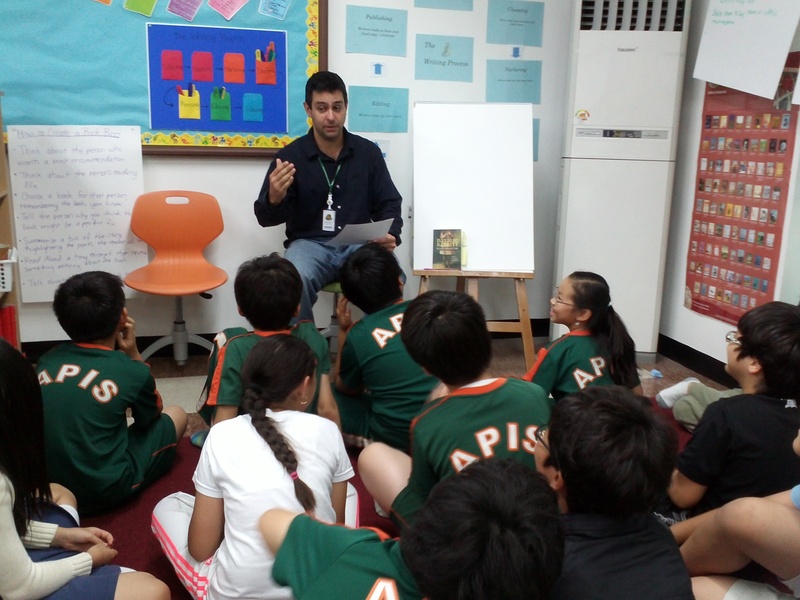 My students have started making some deep connections of the book, and I am so thankful. I read the part where they say that all of Denmark is dark after sunset. They are not allowed to have their lights on after a certain time and their electricity is rationed. My students are continually shocked and surprised. In Seoul, our Interent connection is probably one of the fastest in the world, and flashy signs and lights are everywhere. 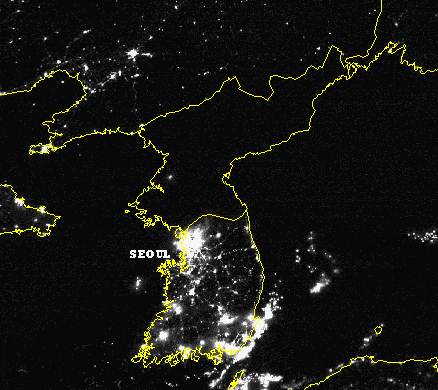 One of my students commented how at night, South Korea is bright and full of lights, while North Korea is black with very lights. There is a famous picture that shows this difference. We started to discuss some of the similarities between North Korea and what the people in Denmark were experiencing. My students are very sheltered in some ways. Yes, they do see the news on T.V. and are influenced by the media, but I wonder, if they really know what is happening in North Korea. We do talk about it in class, but I don’t know if they just brush it off since they are used to hearing about it. I wonder if they are truly aware that their neighbors are suffering, hungry and crying out for help. Yet, no one seems to really be hearing them. This year, I started something new with my students. 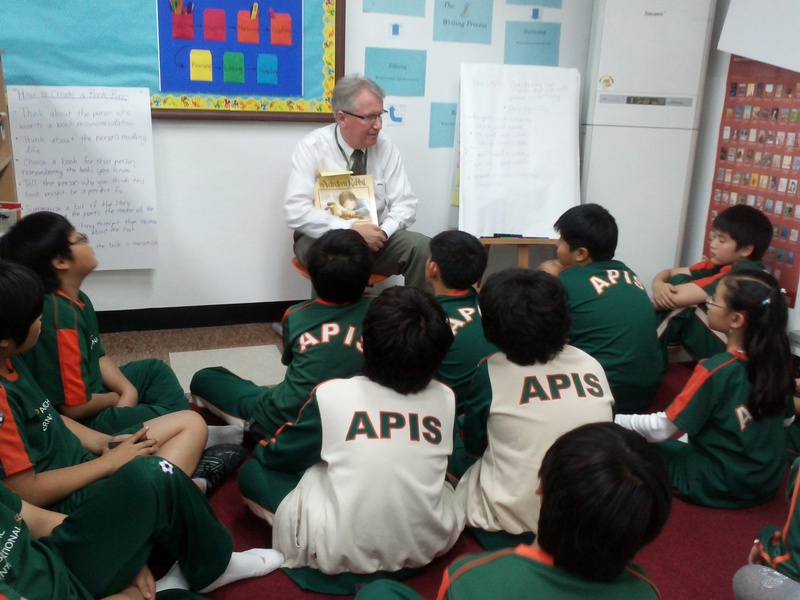 Every Friday, I have a read aloud guest who comes in and reads to my students. We’ve had different teachers and staff from our school come in to read almost every week (If I haven’t asked you yet, don’t worry your turn will come soon!). 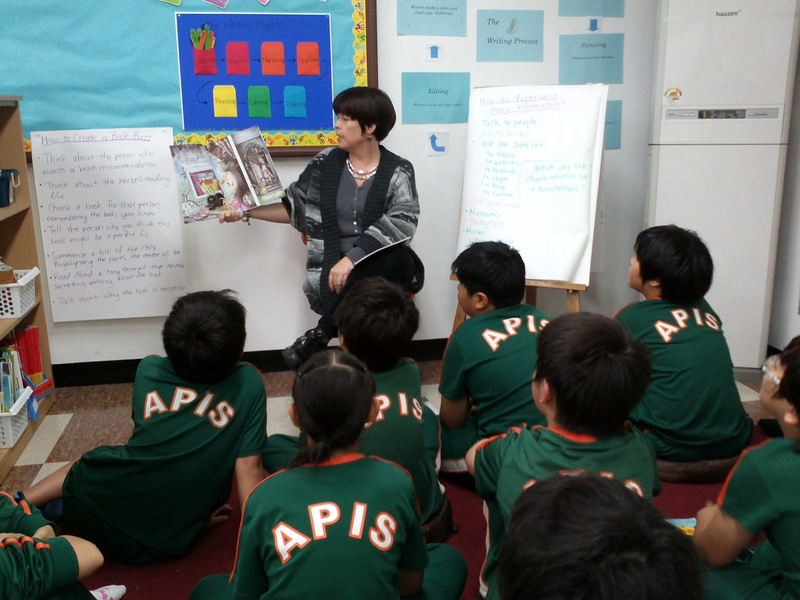 It has been a lot of fun as my students are always curious to know who will come in and what they will read. I have given my read aloud guests a few options on what to read. 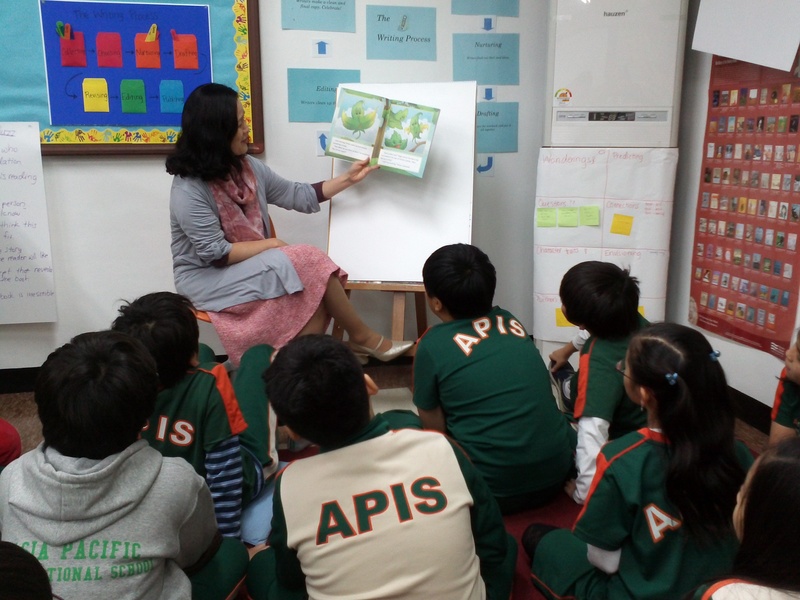 I can give specific book recommendations, or they can read a particular story they love to read, or they can choose a story in the genre that we are studying in reading or writing workshop. 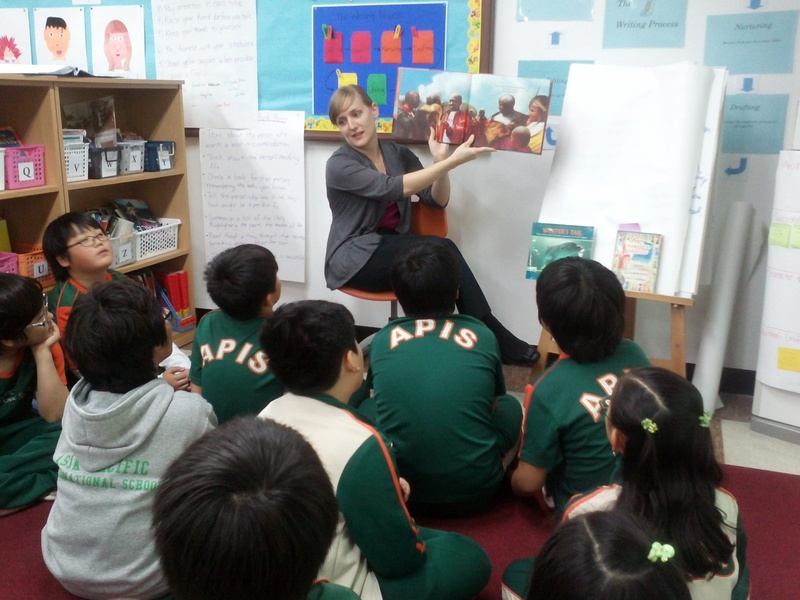 So far, we’ve had a variety of stories read from picture books, short stories and even a teacher’s own written narrative. I know for me, I loved getting books read aloud to me from my parents. 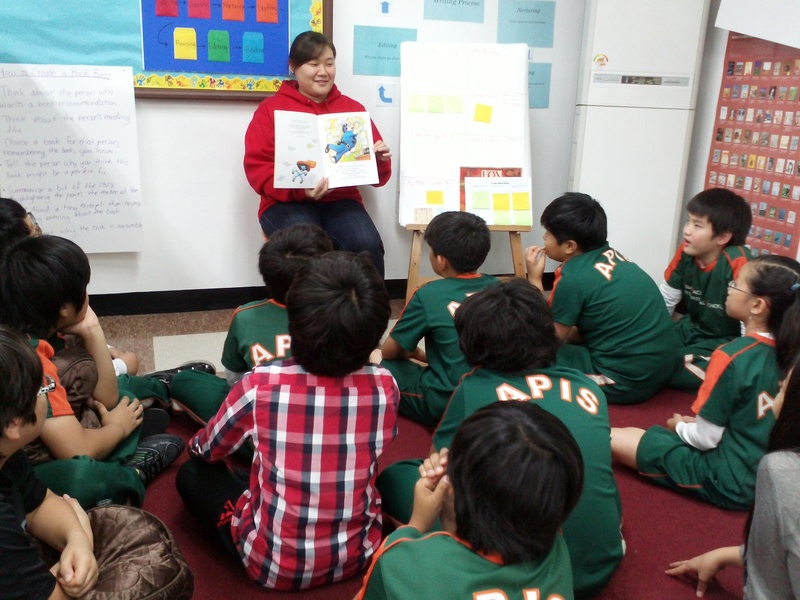 I know that in America, it is really common for parents to read aloud to their child every night when they are young, but I wonder how often the parents of my students do that here in Korea. I always do emphasize the importance of parent involvement in reading to their children at home during back to school night. I am curious now, how many of you had your parents read aloud to you daily? To my readers that are parents, how often do you read aloud to your kids? 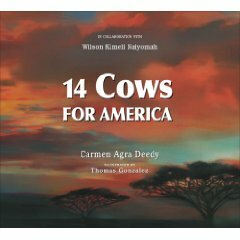 These past two years, in remembrance of 9/11, I read the story 14 Cows for America by Carmen Agra Deedy to my students. This book is based on this amazing and inspiring story of the Massai people in Africa and the responses they had after hearing about the 9/11 attacks. They decided to donate 14 cows to America in response. To the Massai people cows are really important to them. Their donation of 14 cows was a huge sacrifice for them. I remember listening to Carmen Agra Deedy speak about her book at the Teacher’s College Reading and Writing Project summer institute two years ago. She shared that she was reading this NY Times article that she thought was interesting and decided to do research on it. She ended up writing a picture book about it. The full article is here: http://www.nytimes.com/2002/06/03/international/africa/03KENY.html I was so moved by the story, I had to buy the book to share with my students in Korea. On Friday, I asked my students during our community circle time if they knew what 9/11 was and only a few of them raised their hands. Most of them were only 1 or 2 years old when it happened. I heard the news on the radio while in a van early in the morning, heading to Columbia. We were coming back from our early morning skating practice in New Jersey, back to Manhattan when we heard on the radio about how one of the twin towers were attacked by a plane. I think at first we were confused and shocked from the news. We didn’t really know why this happened and thought maybe it was some sort of accident. As we got back to our dorm rooms on the upper west side of the city, we immediately turned on our TVs to find out what was going on downtown. It seemed so surreal as the news kept replaying the clips of the airplane going into the towers. We were so close to it, yet so far. As our classes were canceled that day, the scene uptown seemed pretty normal, yet things downtown were in chaos. People on our campus and streets were out and about, eating at restaurants, and talking about the attacks. While people downtown were evacuating and calling home. As I explained to my students about 9/11, more students seemed to remember hearing about it. I couldn’t help but feel a wave of emotions as I read in the story the parts about the attack. As a New Yorker and being in the city when it happened, a part of my heart will always remember 9/11.